We provide secure locking collection containers for you to gather your sensitive documents. We have different styles to fit your decor and volume requirements. 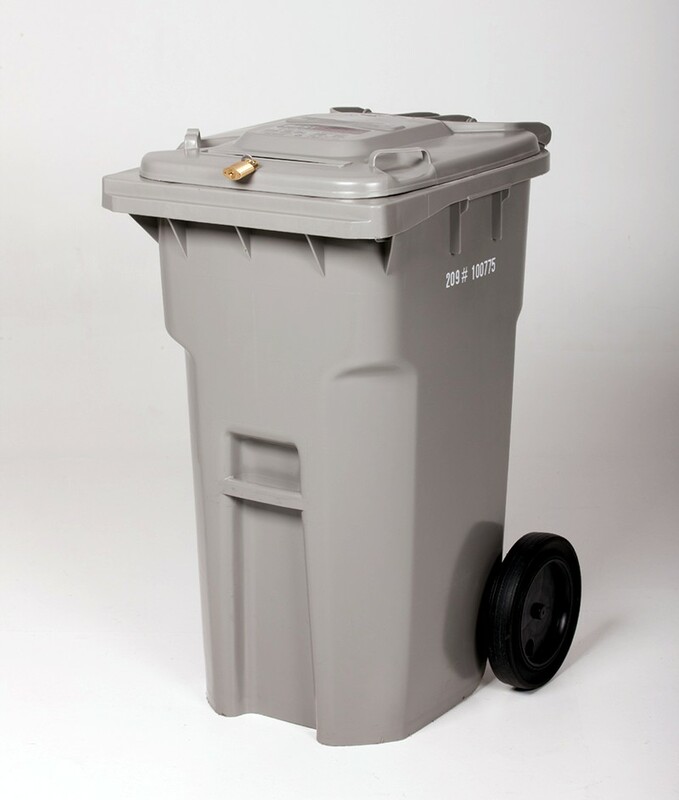 We offer secure collection containers ranging from the convenient We can provide 32-gallon cabinets or 64-gallon rolling collection bins. 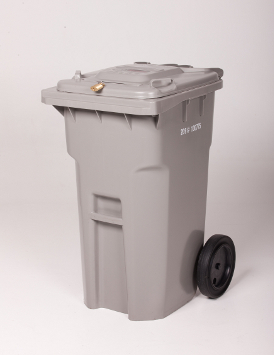 Click on the images below to view larger images of the secure collection containers we can provide. Flat top accommodates fax machine, printer, small office equipment, plants, etc. I had about 10 yrs worth of tax receipts and work files that needed to be shredded. I was attempting to do it on my own, but it was taking forever. I called Best Shred just to see what the cost would be to have them do it for me. Their prices were very reasonable AND they were able to come out that same day (within a couple of hours actually). What would have taken me days or weeks to do, they did it in about 10 min. I was able to watch as everything was loaded onto the truck and shredded right then. I wouldn’t hesitate to use them again or refer them to others. Saved me a lot of time. I highly recommend them. 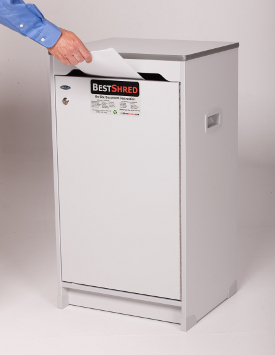 If you feel like paper shredding or document destruction is a commodity, you haven’t used Best Shred. Their customer service and attention to your needs is second to none. Frankly, I’m amazed at the customer service and attention I get from my paper shredding company. They are fantastic. They are extremely friendly and hard working and deserve the opportunity to earn your business. Give them a call and an opportunity to take care of your shredding needs. I promise you that you won’t be disappointed! *** I am not family, an owner, or an employee, just a happy customer! Quick, easy and way less expensive than I anticipated. I have put off dealing with shredding all my old archive boxes of paper for years. Wish I would have called long before now. I would recommend them to anyone for small or large jobs. I was very impressed by the service given by Best Shred. They arrived with the office size container for paper, and when we asked if we could change it out for a larger size, they enthusiastically said yes and were back in 15 minutes with the larger container even though it would mean that we would be paying them less. This company will win your overwhelming approval! Easy to work with, extremely friendly, and willing to do whatever is in the best interest of your company. So happy with this company! It’s so much better than having to tote 20+ years of documents to an office supply store or sitting in front of a shredder for 10 years. They even accommodated my time needs. Will definitely be using them in the future. This is a great company! 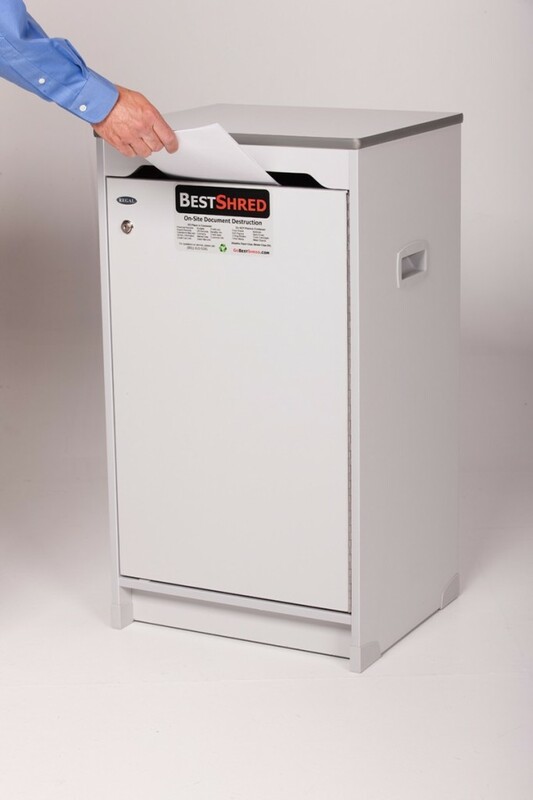 We use them for shredding in our accounting office and will be using their services for years to come. They are straight forward: no hidden fees. They make it easy to do business. We have been using BestShred for over 4 years and really appreciate them and their service. They are true professionals and great to work with. © 2009- BestShred, LLC. All rights reserved.